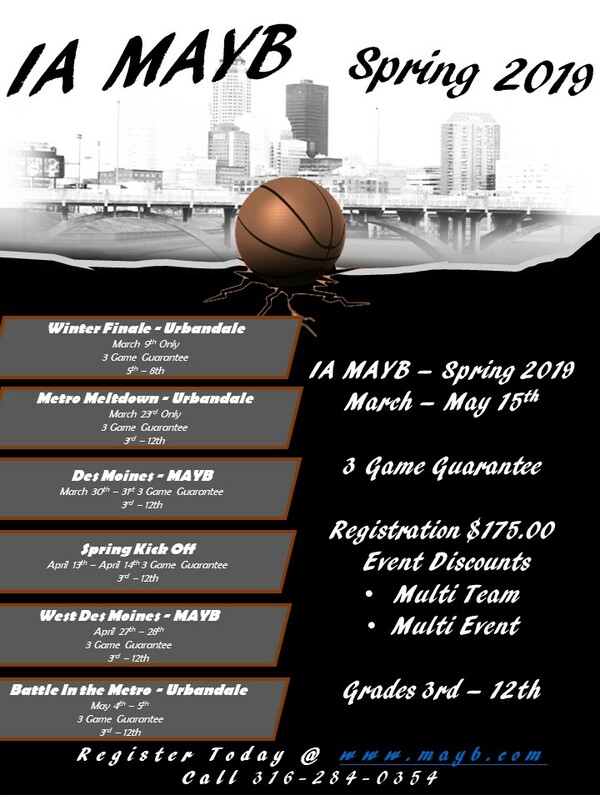 Mid America Youth Basketball (MAYB) is the most cost effective way to improve your basketball skills in a competitive setting. 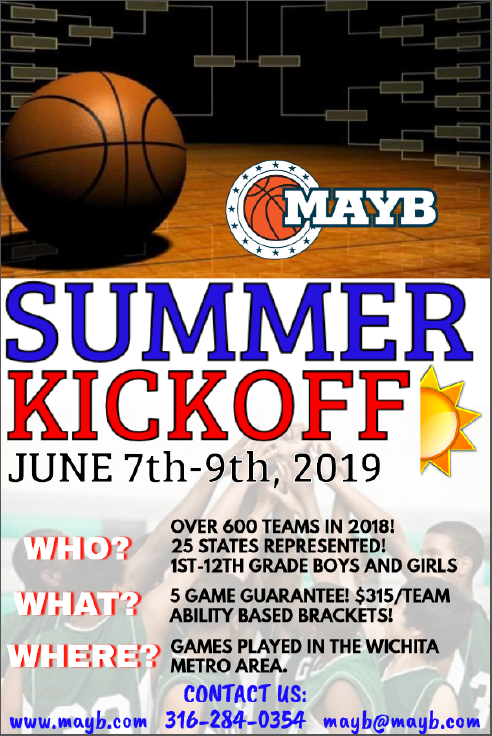 We offer the opportunity to participate in numerous games throughout the year with spring, summer and fall/winter tournaments. Teams are set up by the grade level a student/athlete is in during the current school year, not by their age. 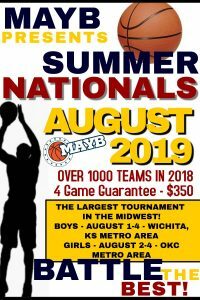 This allows many school teams to compete together in the off-season. 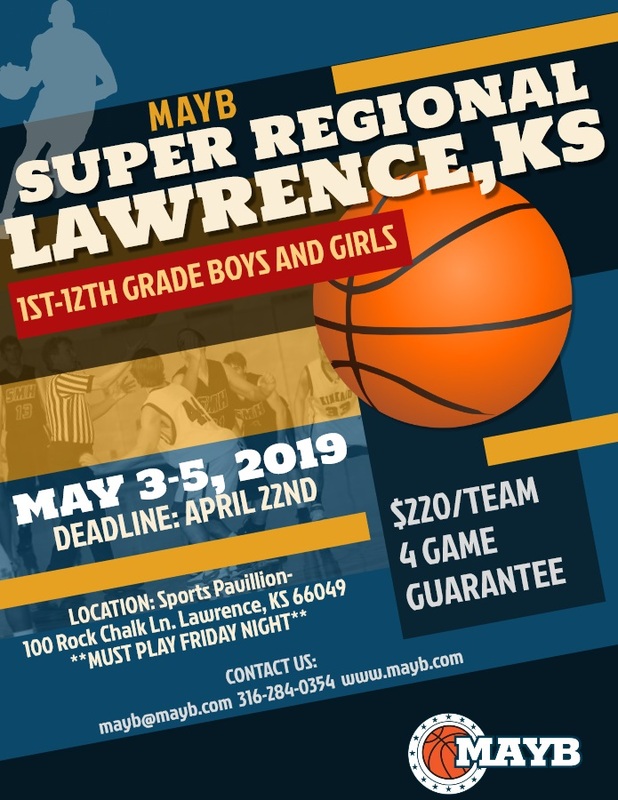 All players are eligible to participate. If you don’t have a team, we can help you find one. 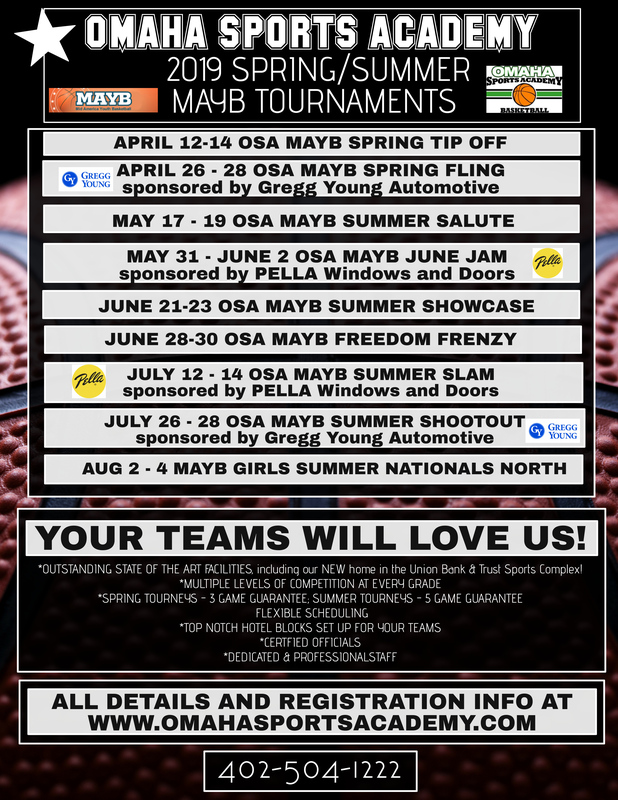 Teams will compete against a wide variety of competition. Our main goal is practice and participation.